This is the UPS Friendly Version of EG-113 and comes in two boxes. The lid is in two pieces and the frame is in six pieces. The outside dimensions are 61 x 33 x 17.75 and the inside dimensions are 55 x 27 x 10. 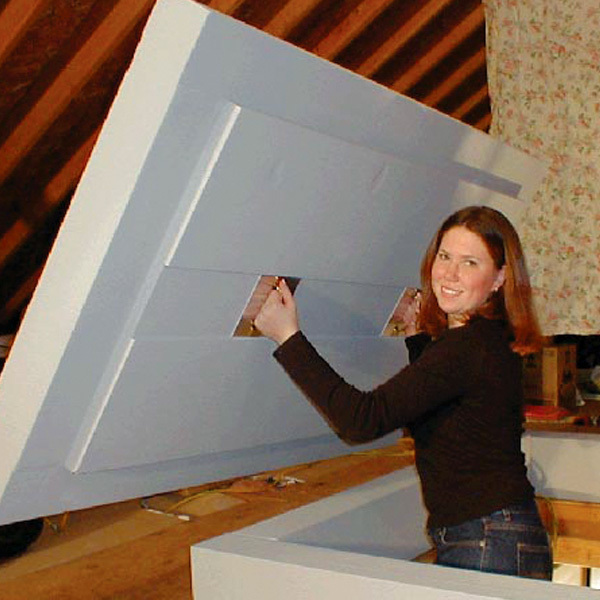 Important The U.S. Department of Energy published minimum requirements for all pull down ladder covers and push up hatches. *See: http //sws.nrel.gov/sites/default/files/sws_singlefamily_0.pdf, page 74.